Taking an architectural walking tour of Savannah is a great way to learn about the buildings and history of the city. This book, composed of three self-guided walking tours, takes you on a journey through Savannahs past and introduces you to the citys magnificent, historic architecture. Whether you have all day to spend on each tour or only an hour to quickly walk one route, these paths allow you to focus your sightseeing. If you cannot make it to Savannah in person, the 131 beautiful color photos give you a deeper understanding and appreciation of the city and its architecture.\nMeet the major architects who gave this city its distinctive look, including William Jay, John Norris, and William Preston, who were drawn to Savannah in its most prosperous eras to translate the popular styles of the time into Savannahs urban language. There is no better introduction to the welcoming city of Savannah, Georgia. 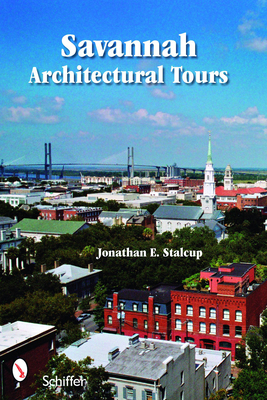 Author Jonathan Stalcup has a Masters degree in architecture and owns the firm Architectural Tours of Savannah. \nPhotographer Elizabeth Osterberger owners Elizabeth Raley Photography and does freelance work for Savannah clients and national magazines.